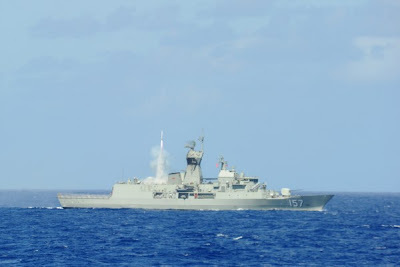 HMAS Perth has completed an advanced air warfare weapons event during a multinational firing serial at Exercise Rim of the Pacific (RIMPAC) 2012, the world’s largest maritime exercise in Hawaii. HMAS Perth joined HMAS Darwin in a six-ship formation with Canadian and US ships that conducted a coordinated ‘defence’ of the group against multiple target drones that flew realistic profiles against the ships. 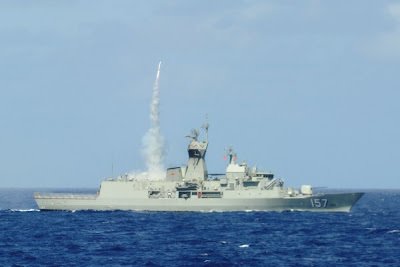 Perth fired two evolved sea sparrow missiles at two of the four targets and employed the Australian-designed Nulka anti-missile systems to decoy another, while the US ships fired the SM 2 missile at the remaining targets. The Commander of Australia’s RIMPAC Contingent, Commodore Stuart Mayer, said the firings mark the culmination of more than a year of painstaking planning by the ship and the Australian Maritime Warfare Centre team. 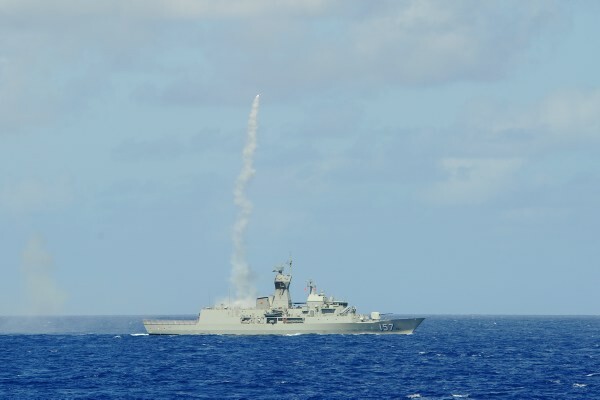 “This firing was a keystone event in demonstrating the RAN’s ability to operate with our closest allies in the most challenging of warfare situations,” Commodore Mayer said. While firings of this complexity take time to analyse, initial reports suggest outstanding results which marks another important achievement for Australia’s first upgraded Anzac-class frigate. Perth has recently completed the Anti Ship Missile Defence (ASMD) upgrade which included the installation of an Australian-designed CEAFAR radar which is a cutting-edge phased array radar, as well as an upgraded combat system. 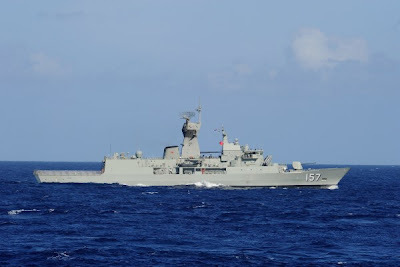 Perth’s Commanding Officer Captain Mal Wise said that the firings put the new system to a rigorous test and was one in which the ship and crew performed to an outstanding standard. “This was a complex test of the CEAFAR radar and it has proven itself beyond expectations,” Captain Wise said. MANILA, Philippines - The Navy is expecting delivery this week of two brand new multi-purpose attack craft manufactured by a Filipino company in line with efforts to upgrade its capability. 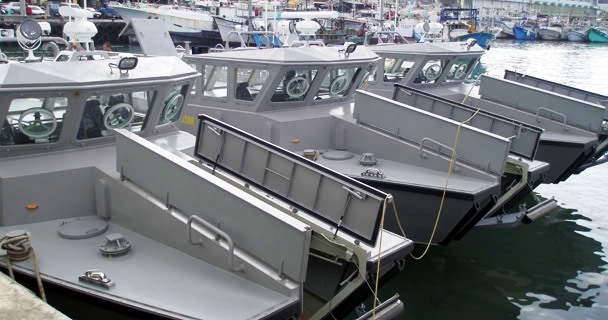 Navy spokesman Col. Omar Tonsay said the vessels have been acquired from local firm Propmech Corp. and were expected to be delivered in August. “These are Filipino-made vessels. These make us proud,” Tonsay told The STAR yesterday. Commander Kenneth Tingabngab, director of the Navy’s modernization office, said they have acquired three multi-purpose attack craft from Propmech. The first one was delivered during the first half of the year and was blessed during the Navy’s 114th anniversary last May. The three vessels cost about P269 million. “The boats will be used for interdiction, patrolling and for maritime and border security,” Tingabngab said. Each boat is 16.5 meters long, 4.76 meters wide and can carry as many as 16 soldiers or about two tons of cargo. Tonsay said there are four multi-purpose attack craft in their inventory. He said sailors would test the boats once the vessels were delivered. The Aquino administration has vowed to support the military’s modernization efforts to enable it to perform its mandate. The Navy would be given strategic sealift vessels with amphibious capability, offshore patrol vessels, three naval helicopters, coast watch stations and weather-heavy endurance cutters. The Navy also expects the arrival of a warship acquired from the United States Coast Guard in January. The warship, a weather endurance cutter, will be named after Ramon Alcaraz, a patrol boat commander during World War II. For the Army, the government plans to acquire new assault rifles, armor assets, tanks, armored personnel carriers, force protection equipment like helmets, and bulletproof vests, night-fighting equipment and radios. Meanwhile, the Air Force is expected to acquire surface attack aircraft, air defense radars, long-range patrol aircraft and closed air support aircraft. The first signing of a Memorandum of Understanding (MOU) between a private sector employer and the Australian Defence Force (ADF) regarding part time Defence personnel, has been signed at Victoria Barracks, Paddington. Parliamentary Secretary for Defence, Senator David Feeney, says the MOU will help further develop ties between the two organisations. “The MOU between QANTAS and the ADF will form the basis for cooperation between the organisations in managing a shared workforce. By signing this MOU, QANTAS, a national icon, is leading the way for other private sector employers. 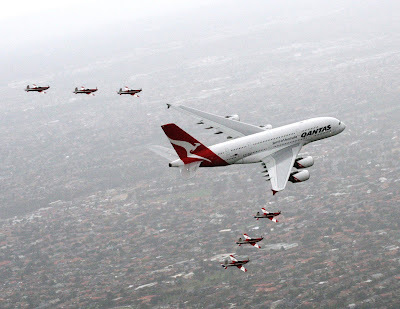 “For the hundreds of QANTAS staff whom also serve part time in the ADF, this MOU will ensure an easier release process when they are called to serve. It will also assist them to deal with the competing demands of family, employer and of Defence,” said Senator Feeney. Qantas’ Head of Government and Regulatory Affairs and himself a Defence Reservist, Glen Steed, said the MOU will undoubtedly make it easier for part time ADF personnel working at QANTAS. “Whether it’s through our scheduled passenger services, charter flights or aircraft maintenance, we are committed to supporting the ADF wherever we can. The MOU launched today recognises that many of our employees also contribute to national defence through part time service and this makes it simpler for them to do so. “We’re proud to be the first private sector organisation to sign such an agreement with the ADF,” he said. The Air Force's newest helicopter, the NH90, has successfully completed its first landing on the Navy's multi-role vessel, HMNZS CANTERBURY. The interface trial is the first stage of a process intended to integrate helicopter and ship operations - an important step towards the New Zealand Defence Force goal of establishing a Joint Amphibious Task Force (JATF) by 2015. While the JATF will be structured for the deployment of combat forces, the most likely contingencies it will be used for are disaster relief and conducting exercises in our region in support of nation building. "The NH90 is a complex helicopter with significant capability and sophisticated systems and it will form an important part of the Defence Force's new Joint Amphibious Task Force," said Air Vice-Marshal Peter Stockwell, Chief of Air Force. 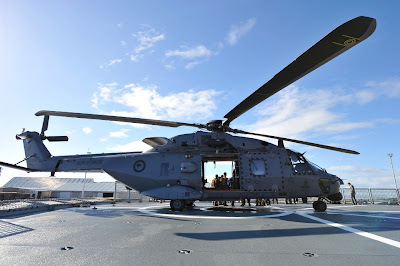 "When fully operational the NH90 will provide valuable support to the New Zealand Army, and Royal New Zealand Navy, as well as other Government agencies. It will vastly improve the Air Force's capability to conduct military, disaster relief, search and rescue and general helicopter support operations." Chief of Navy, Rear-Admiral Tony Parr, says the aim of the trial is to begin proving the Defence Force's ability to land, stow and then re-launch the helicopter from the CANTERBURY. "It's no easy task to safely land a large helicopter on a ship," he says. "Once we've established this capability the Navy will be able to transport the NH90s around New Zealand, the Pacific and further afield as necessary for military, disaster relief or other operational taskings." Up to four NH90 helicopters will be able to be stowed in the ship's hangar. As a result of the first trial, any alterations required to the ship's aviation facilities to support NH90 operations will be identified and adjusted during the ship's scheduled maintenance programme. The second stage (planned for mid-late next year) will be conducted to determine the safe operating limits for the NH90 when operating from HMNZS CANTERBURY. Pesawat tempur Super Tucano buatan Brazil dijadwalkan tiba di Indonesia akhir Agustus 2012. Kepala Dinas Penerangan TNI AU Marsekal Pertama (TNI AU) Azman Yunus, pekan lalu, mengatakan, pesawat diterbangkan langsung dari Brazilia ke Jawa. "Akan dilakukan ferry (pengiriman dengan diterbangkan langsung) dari Brazil via Afrika ke Indonesia. 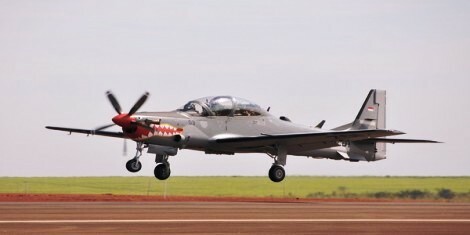 Pangkalan Super Tucano nanti di Malang untuk menggantikan pesawat tempur OV-10 Bronco," ujarnya. Following the recent tragedy that shocked the nation, the Ministry of Defence stated that the remaining fleet of Bell 212 helicopters used by the military's First Squadron will be temporarily grounded. Explaining the move to the Sunday Bulletin yesterday, the Deputy Minister of Defence, Dato Paduka Awang Haji Mustappa bin Haji Sirat, said the eight medium-sized choppers have ceased operations "since day one" after the incident that took the lives of a dozen young men and women just over a week ago on July 20, 2012. The helicopters, said Dato Paduka Awang Haji Mustappa, will not be utilised "until we establish the findings" of the special investigations jointly conducted and supported by international investigators from the United States and Canada to ascertain the cause of the tragedy that unfolded in the Ulu Belait area. 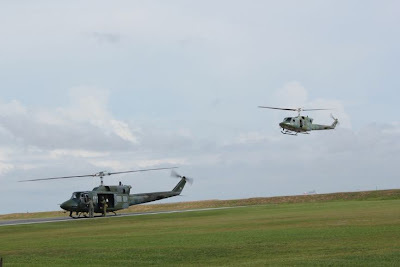 Should there be a need, the fleet of four Blackhawk S-70A choppers under the Fourth Squadron of the Royal Brunei Air Force (RBAirF) will be mobilised. Last year, the Ministry of Defence signed a contract with US-based Sikorsky for the acquisition of a total of 12 Blackhawk S-70i helicopters in the country's bid to replace the ageing fleet of Bell 212s that has served the RBAirF for 39 years since the helicopters were first introduced to Brunei's Defence in September of 1973. The first delivery of the anticipated and more powerful fleet is expected over a two-year period starting from next year at a total cost of approximately US$325 million. MANILA, Philippines - Defense spokesperson Peter Paul Galvez announced on Friday that one of the frigates to be acquired by the Philippines will have "surface-to-air" capabilities. That is, the ship will have the capability to fire missiles, guided by radar or heat sensors, at airborne targets. "Aside from this, our latest frigate will have heavier gun armament and other equipment that will make it very effective in patrolling and securing the country's waters," Galvez said in Filipino. He declined to state the particular country the Philippines will acquire this ship but stressed that acquisition will be done through a government-to-government transaction. The Philippines has taken on a new sense of urgency to upgrade its naval capabilities as tensions continue to rise around the West Philippine Sea (South China Sea). US President Barack Obama's announced "pivot" for America towards the Pacific has stirred greater naval activity on the part of China, triggering cross-border problems between the Asian superpower and the Philippines, Vietnam, Japan, South Korea, and Russia across the East and South China Seas. Against this backdrop, the Philippine Navy has been exposed to be glaringly ill-equipped to patrol and protect its own shores. Earlier, DND Secretary Voltaire Gazmin said the military wants to acquire additional naval craft from Italy. "We are not relying totally on the United States (for) our equipment acquisitions. We are also looking at the possibility of getting some of our equipment from Europe, specifically from Italy, depending on our budget," he added. 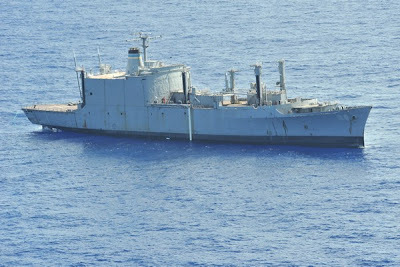 Possible naval craft to be acquired from Italy by the Philippines are the "Maestrale" and "Soldati" classes. 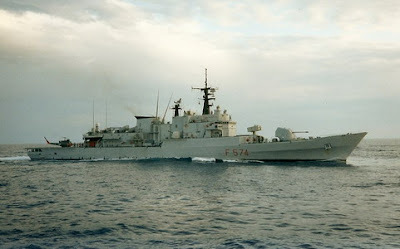 The "Maestrale" class, operated by the Italian Navy, is primarily designed for anti-submarine warfare. 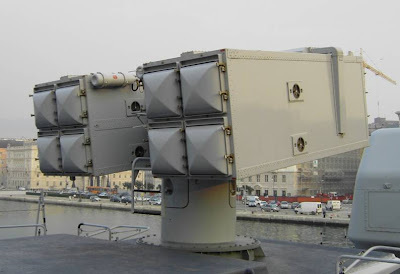 However the vessels are highly flexible so they are also capable of anti-air and anti-surface operations. It has a displacement of 3,300 gross register tons and a speed of 33 knots. The ship is armed with anti-ship missiles, torpedoes, long range guns and automatic weapons, making it ideal to protect the country's maritime borders against poachers, pirates and foreign aggressors. The "Soldati" class, on the other hand, is a multi-purpose warship designed for anti-surface warfare. It has a displacement of 2,500 gross register tons and has a top speed of 35 knots. 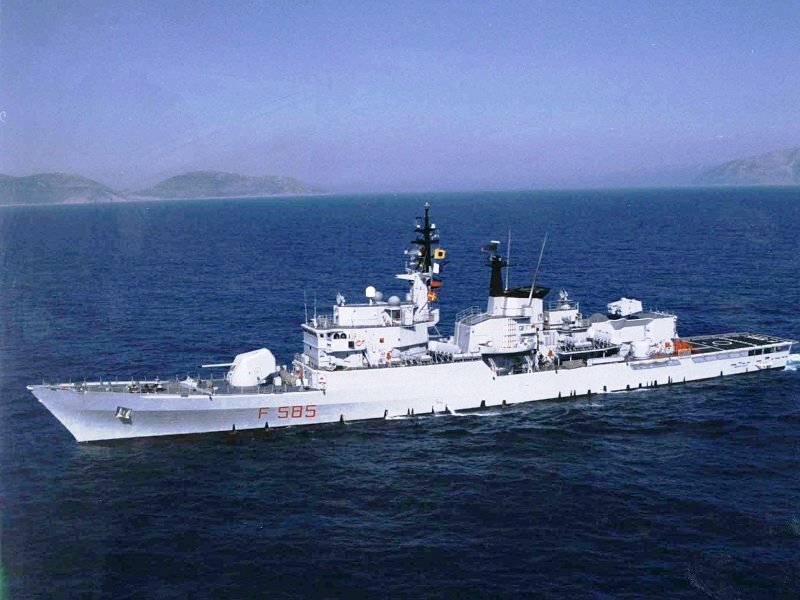 The ship has missile, torpedo and gun armament and is capable of carrying an anti-submarine helicopter. 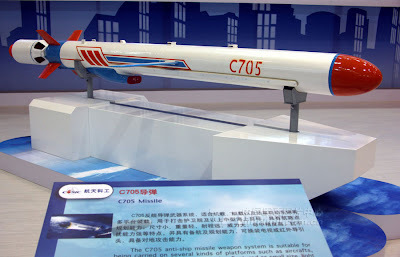 China and Indonesia have started talks on the ambitious local production of C-705 anti-ship missiles as part of Indonesia’s efforts to achieve independence in weapons production. The defense cooperation reflects strengthening ties between both countries amid heightening tension in the South China Sea involving China and a number of Indonesia’s ASEAN neighbors. Defense Ministry chief spokesman Brig. Gen. Hartind Asrin said that the initial talks were conducted during the first China-Indonesia defense industry cooperation meeting held in Jakarta on Wednesday. The ministry’s defense potential director general Pos M. Hutabarat hosted the Chinese delegation which was led by Liu Yunfeng, a deputy director general at the Chinese State Administration for Science, Technology and Industry for National Defense (SASTIND). Hartind said the C-705 had a range of 120 kilometers. 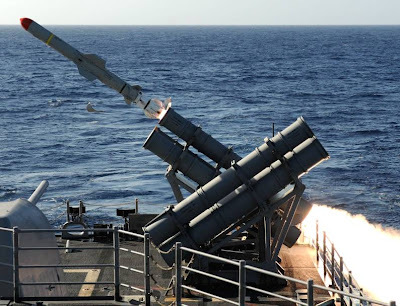 He said that the Indonesian Navy had successfully test-fired the C-705 missiles in the Sunda Strait. “China has also offered to donate weapons systems that Indonesia might need,” he added. A source said that Indonesia was expected to reply to Phase 1 of the missile proposal at the end of August and Phase 2 one month later. A contract is expected to be signed in 2013. Phase 1 is on semi-knocked down production while Phase 2 is on completely-knocked down production. A proposal for a Phase 3 on research and development is already on the table although the focus is currently on the first two phases. Aside from the missile production, a number of Indonesian Army Special Force Command (Kopassus) members recently conducted the second “Sharp Knife” joint exercise with Chinese Special Forces operatives earlier this month in Jinan, Shandong, China. China has also offered to train 10 pilots from the Indonesian Air Force to train using a Sukhoi simulator in China. 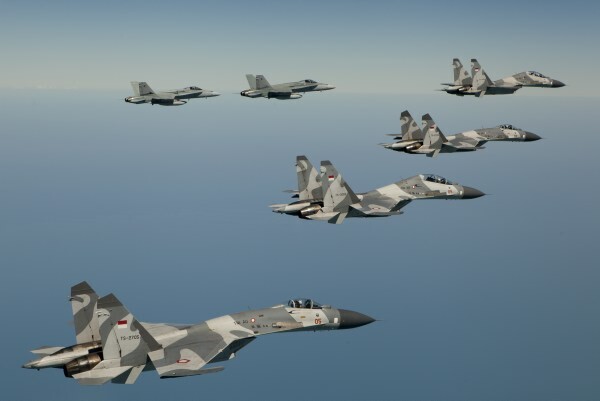 Commenting on the defense cooperation, defense expert Andi Widjajanto said the industrial cooperation was solely to gain access to more advanced technology. Andi added that there were two goals in terms of the partnership: to access advanced rocket technology, and to collaborate in upholding maritime security, which began when President Susilo Bambang Yudhoyono signed an agreement in March during a state visit to Beijing. 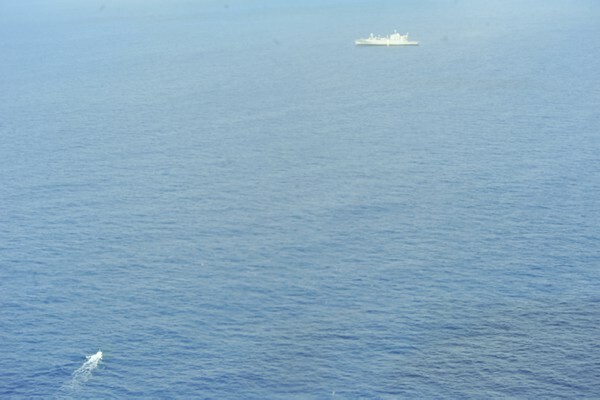 “I don’t believe it has anything to do with conflicts in the South China Sea,” he stressed. Meanwhile, chairman of the House of Representatives’ Commission I on defense issues, Mahfudz Shiddiq, said such global partnerships in the defense industry were designed to develop Indonesia’s own industry. 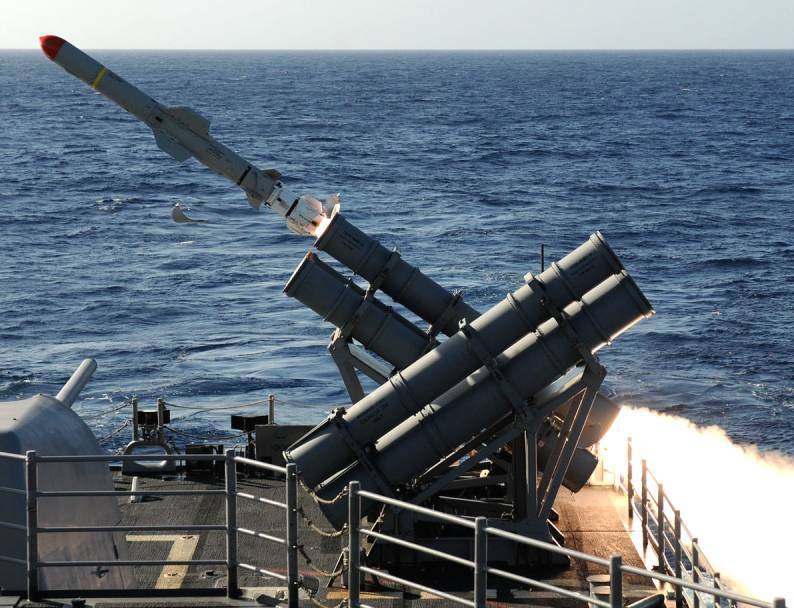 “We have allocated Rp 150 trillion [US$15.8 billion] to modernize our weapons-defense system from 2010 to 2014. It would be wasteful paying such a huge amount to foreign defense industries without any attempt to improve our own,” he said. He added that the partnership with China was due to its advanced military technologies in fields such as rocketry. “This is not political, even though others might link the partnership to political issues, for example the South China Sea disputes,” Machfudz said. Indonesia already cooperates on weapons production with several other countries including South Korea to build jet fighters and submarines, the Netherlands to build frigates and Spain to build medium transport aircraft. Bertempat di fasilitas produksi Embraer di Gaveao Peixoto Sao Paulo Brazil, baru-baru ini telah dilaksanakan pemeriksaan pesawat Super Tucano TNI-AU nomor seri produksi 179 dan 180 oleh tim dari Kementerian Pertahanan RI/TNI-AU. Tim pemeriksa yang dipimpin oleh Letkol Lek Alit Erbawa dengan anggota Letkol Tek Sianturi, Mayor Pnb James Yanes Singal dan Mayor Tek Yani Prasetyo melakukan pemeriksaan pesawat meliputi dokumen, pencocokan komponen pesawat, interior pesawat, pengecatan dan uji terbang. Adapun uji terbang dilaksanakan baru-baru ini oleh test pilot Embraer, William, yang duduk di kursi depan disertai oleh Komandan Skadron Udara 21, Mayor Pnb James Yanes Singal yang duduk di kursi belakang. 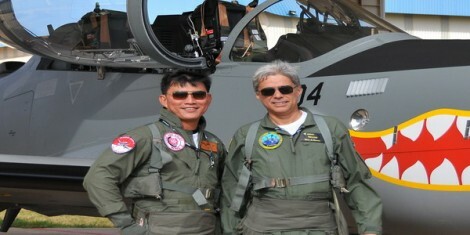 Dalam uji terbang yang setiap sortinya memakan waktu sekitar dua jam, test pilot Embraer melakukan pemeriksaan terhadap berbagai sistem pesawat yang diamati oleh Mayor Pnb James. Pemeriksaan di darat dimulai dari melihat kondisi fisik pesawat, pemeriksaan instrumen pesawat sebelum dan sesudah mesin dinyalakan dan pemeriksaan kendali pesawat selama taxy. Dalam uji terbang yang dilaksanakan hingga ketinggian 25.000 kaki, diperiksa beberapa sistem pesawat meliputi sistem bahan bakar, tekanan udara, auto pilot, mesin, navigasi, komunikasi, penembakan (simulasi) dan landing gear. Selain itu diperiksa pula handling pesawat selama dilakukan berbagai maneuver. Setelah bekerja selama tiga hari, tim pemeriksa menyatakan bahwa pesawat nomor seri produksi 179 dan 180 dalam kondisi baik. 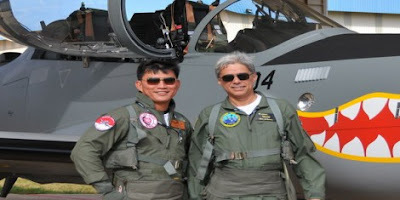 Dengan demikian, saat ini empat pesawat Super Tucano TNI-AU telah siap untuk diterbangkan ke Indonesia yang direncanakan akan dilakukan pada pertengahan bulan Agustus. 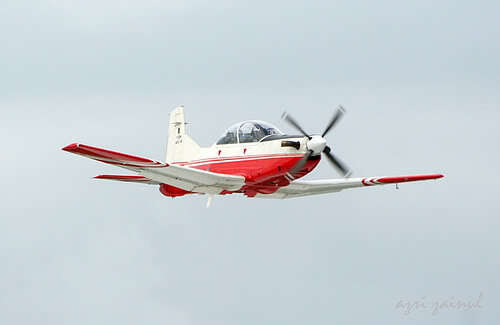 Super Tucano TT-3101, 3102, 3103 dan 3104 dengan cocor merah desain dari Almarhum Marsda TNI (Purn) F. Djoko Poerwoko akan segera memperkuat Skadron Udara 21 pada akhir bulan Agustus 2012. Jakarta (ANTARA News) - Kementerian Pertahanan mengklaim bahwa proses pembelian Main Batle Tank (MBT) Leopard dari Jerman sebanyak 100 unit telah diselesaikan, bahkan pada Oktober 2012 nanti 15 unit tank sudah tiba di Indonesia. 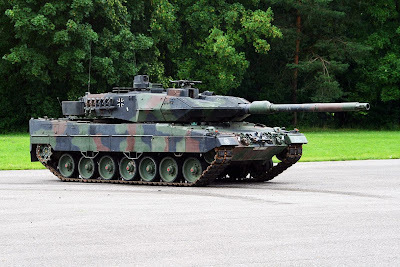 "Pada Oktober 2012, bertepatan HUT TNI, Anda sudah akan melihat 15 unit Tank Leopard," kata Kepala Pusat Komunikasi Publik Kemhan, Brigjen TNI Hartind Asrin menanggapi kekhawatiran DPR akan terganggunya pembelian tank Leopard akibat penolakan sebagian anggota parlemen Jerman, di Jakarta, Jumat. Menurut dia, kedatangan tank berbobot 60 ton itu akan terus berdatangan dengan total 100 unit hingga 2014 mendatang. Penolakan sebagian anggota parlemen, terutama dari partai oposisi, tidak menggangu proses pembelian tank tersebut. "Penolakan itu memang ada, namun hanya dalam diskusi kecil. Tapi, tidak membuat pembelian tank menjadi batal," jelas Hartind. Sebanyak 15 tank yang akan di tahap pertama rencananya akan ditempatkan di wilayah Jawa. Namun, tak menutup kemungkinan tank yang datang kemudian akan dikirim ke daerah-daerah perbatasan. "Kita sedang mempersiapkan kapal untuk mengangkutnya jika memang akan ditempatkan di sana," ujarnya. Beberapa waktu lalu, laman "Spiegel Online" konsisten memberitakan bahwa anggota parlemen senior dari Partai Hijau Katja Keul menyatakan, Jerman tidak bisa menjual tank Leopard pada Indonesia mengingat masih banyaknya pelanggaran HAM yang terjadi. Wakil Ketua Komisi I DPR RI Tubagus Hasanuddin juga pernah mengatakan penolakan parlemen Jerman itu harus disikapi hati-hati oleh pemerintah Indonesia maupun Jerman. "Saat ini DPR dalam posisi menunggu sikap pemerintah kedua negara," katanya. Up to 100 military aircraft will be in the Northern Territory from July 27 until August 17 as the Royal Australian Air Force (RAAF) hosts international partners for Exercise Pitch Black 12. 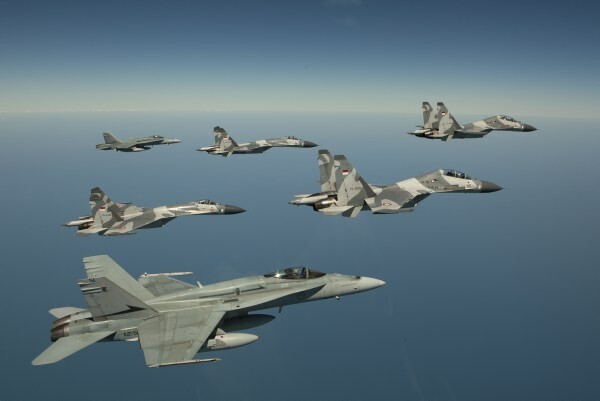 With 2200 participants coming from across Australia, Singapore, Thailand, Indonesia, New Zealand and the United States, Exercise Pitch Black will be held from RAAF Bases Darwin and Tindal. 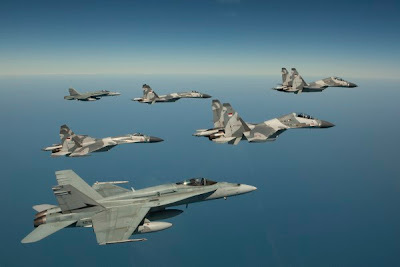 Air Commander Australia, Air Vice Marshal Mel Hupfeld, said the biennial exercise would this year feature a mix of first-time and returning participants, making it the most advanced in the event’s 22-year history. 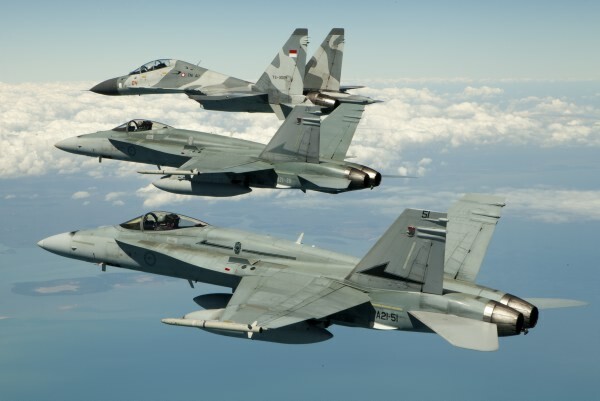 “For the first time at Exercise Pitch Black, Australia will be fielding the Super Hornet, Wedgetail Airborne Early Warning and Control aircraft, and KC-30A Multi-Role Tanker Transport,” he said. 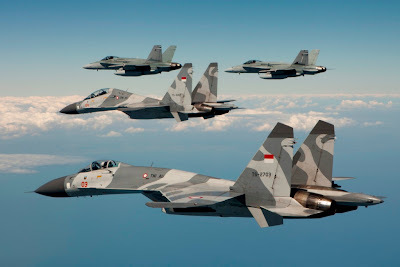 “The Indonesian Air Force will make its debut appearance at Exercise Pitch Black 12, and we’re very excited to see it attend with its Sukhoi Flanker fighter aircraft. 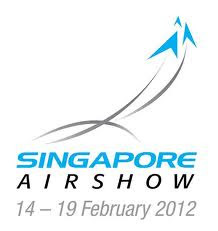 “Singapore has been a regular participant and will this year bring its F-15SG Eagle and Gulfstream G550 Conformal Airborne Early Warning aircraft,” AVM Hupfeld said. 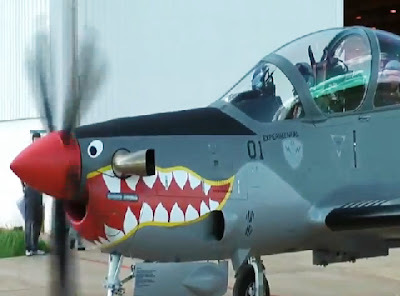 “Regionally and geographically, the Northern Territory is ideally placed for exercise participants to bring together large formations of aircraft to conduct complex operations,” AVM Hupfeld said. During Exercise Pitch Black 12, Air Force will conduct a handling display with an F/A-18 ‘Classic’ Hornet over Mindil Beach Markets on August 9. An Open Day at RAAF Base Darwin will be held on August 11 for the Darwin community. “Air Force has a deep bond with the Northern Territory extending back to 1938, and holding these events is our way of extending a sincere thank you to the public for its support,” AVM Hupfeld said. The Australian Defence Force has upgraded a seven-year-old core battlefield simulation system used to prepare individuals and teams of up to 100 soldiers for battle. Army personnel have used the Virtual Battle Space (VBS) simulator since 2005, when VBS1 was used to train soldiers deploying to Iraq. Defence licensed VBS2 2.0 from system developer Bohemia Interactive for $2.8 million this month to improve terrains, viewing distances, artificial intelligence and other features. The upgrade will be rolled out in the third quarter of 2012. A Defence spokesman told iTnews that the upgrade would provide "a range of technical improvements, such as longer viewing distances, improved networking support, increased processing power and much larger maps". "Typically, VBS2 is used by individual soldiers and combat teams of over 100 soldiers," he said, noting that its uses included tactical training and Area of Operation (AO) familiarisation. 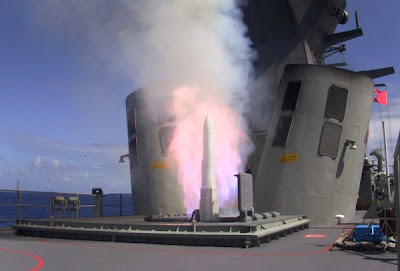 "[It] can simulate a wide range of military capabilities including naval and air capabilities ... most of the Australian Defence Force and a range of coalition weapons systems [are] represented." The upgraded simulator was expected to deliver a wide range of foundation war fighting and mission specific scenarios — such as operations in urban terrain. "Army has, or is in the process of developing, terrains for all of our key training ranges and other areas that support mission-specific training of our personnel," the spokesman said, noting that the VBS could simulate any land, sea, or air platform to varying levels of fidelity. Among other new features, VBS2 2.0 will introduce full terrain paging, armored and aviation enhancements, realistic underwater and scuba diving and improvements to parachuting and free-fall simulations. The upgrade also provides trainees with more realistic AI behavior. New computer-controlled units have a much better understanding of their surrounding terrain, allowing them to move through smaller spaces and use various features of the terrain for cover. New maps will cover a maximum virtual distance of 300 x 300 kilometres; up from 100 x 100 kilometres in the previous version. The spokesman said VBS2 2.0 would support scenarios, models and data sets from earlier versions. The existing PC fleet will be used to run the upgraded VBS2 system. "[VBS2 2.0 is] one of Army's core simulation systems [which is] used for a wide range of training tasks," the spokesman said. 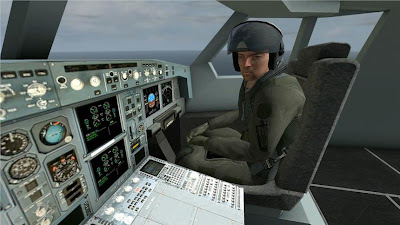 "It complements other virtual simulations, such as helicopter and armoured fighting vehicle virtual simulators that focus on psycho-motor skills." Defence currently runs the Virtual Battle Space simulator on about 1000 desktop machines and 150 laptops, the majority of which are within the Battle Simulation Centres located in Darwin, Townsville, Brisbane, Adelaide and Puckapunyal. "Typically PCs [designed to run VBS2] have an Intel i5 or i7 CPU, 4GB RAM, 1GB NVIDIA Video Card and 1 Gab network card," the spokesman said. "Some of these PCs are also fitted with specialised interface devices that replicate the controllers found on armoured vehicles, helicopters and other military platforms." The Australian Army is said to be one of the first organisations to use the VBS product for collective military tactical training and mission rehearsal. Defence's spokeperson said it did not consider the VBS as a gaming system. However, a version of the product was available for Defence personnel to use on their home computers along with commercial variants. 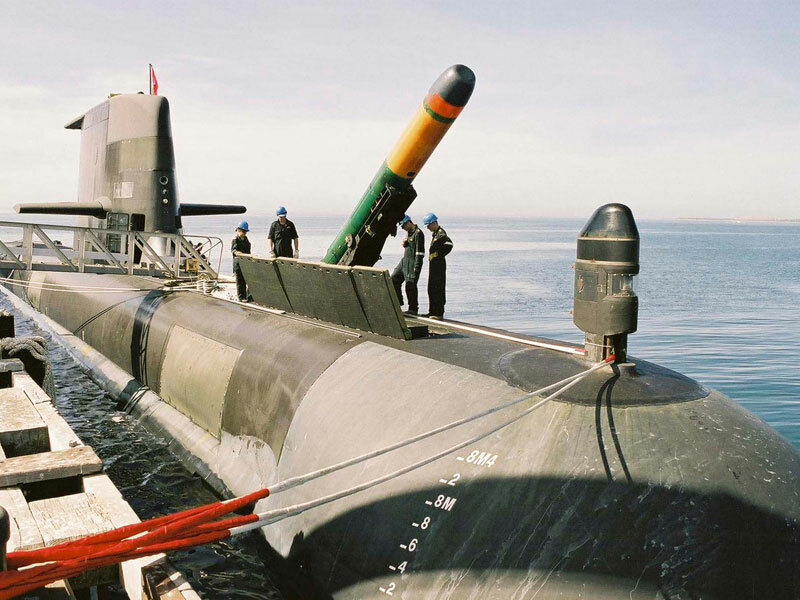 Other VBS customers include the British Ministry of Defence, Singapore Armed Forces and NATO. 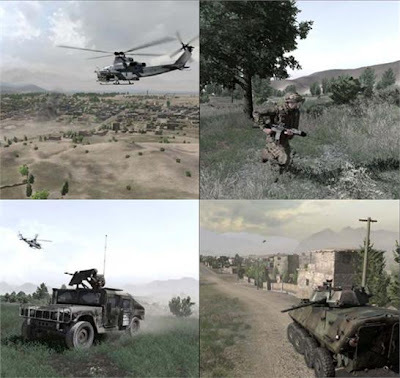 In January 2009, the United States Army deployed a new training program based on the VBS2 simulator engine to address training gaps identified in small unit operations in Iraq and Afghanistan. Bohemia Interactive comprises a number of privately owned software development companies based in the US, Australia and the Czech Republic. Prior to netting military simulation contracts, the group was chiefly known for producing action-themed video games such as Operation Flashpoint, a military shooter that provided the template for VBS2. 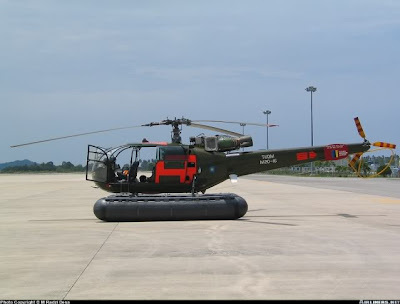 WASHINGTON – The Defense Security Cooperation Agency notified Congress today of a possible Foreign Military Sale to the Government of Thailand for four UH-60M BLACK HAWK Helicopters and associated equipment, parts, training and logistical support for an estimated cost of $235 million. 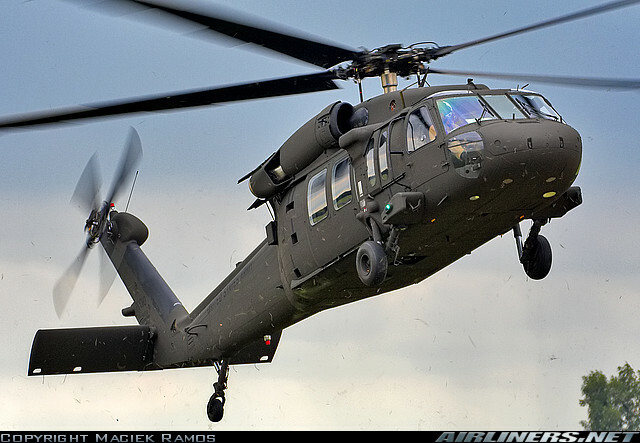 The Government of Thailand (GoT) has requested a possible sale of four UH-60M BLACK HAWK Helicopters, 10 T700-GE-701D Engines (8 installed and 2 spares), warranty, support equipment, spare and repair parts, personnel training and training equipment, publications and technical data, U.S. Government and contractor technical assistance, and other related logistics support. The estimated cost is $235 million. This proposed sale will contribute to the foreign policy and national security of the United States by helping to improve the security of a friendly country which has been, and continues to be, an important force for political stability and economic progress in South-East Asia. The Government of Thailand intends to use the UH-60s to modernize its armed forces. This proposed sale will contribute to the GoT objective to update its military capabilities and improve interoperability between Thailand and the U.S., and among other allies. The proposed sale of these helicopters and support will not alter the basic military balance in the region. The principal contractors will be Sikorsky Aircraft Company in Stratford, Connecticut; and General Electric Aircraft Company (GEAC) in Lynn, Massachusetts. There are no known offset agreements proposed in connection with this potential sale. Implementation of this proposed sale will require U.S. Government representatives to travel to Thailand for a period of 5 weeks for equipment deprocessing/fielding, system checkout and new equipment training and a Contractor Furnished Service Representative (CFSR) for a period of one year. Butterworth - Tentera Udara Diraja Malaysia (TUDM) akan menerima dua helikopter Eurocopter Cougar jenis EC725 pada Disember ini atau selewat-lewatnya Januari tahun depan. 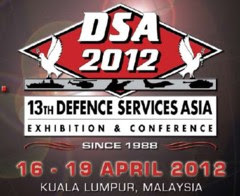 Panglima TUDM, Jeneral Tan Sri Rodzali Daud, berkata penghantaran Cougar EC725 yang dibangunkan khusus bagi misi mencabar seperti tugas taktikal mencari dan menyelamat untuk menggantikan Sikorsky S61-A4 Sea Kings atau Nuri akan dilaksanakan mengikut jadual. Baki 10 helikopter dijangka diserahkan secara berperingkat dengan pesawat terakhir bakal sampai pada Januari 2014. “Selain itu, pesawat pengangkut jenis Atlas Airbus A400 yang dibeli kira-kira RM600 juta akan tiba menjelang Januari 2015 seperti yang dijadualkan,” katanya selepas menganugerahkan Sayap dan Sijil Penerbangan di Pangkalan Udara TUDM Butterworth, di sini, semalam. Beliau berkata, juruterbang TUDM kini berada di Perancis untuk mengikuti latihan sebelum penghantaran pertama dua daripada 12 helikopter itu. Katanya mereka sudah tiba di kilang Eurocopter di Marseille, dua hari lalu untuk mengikuti kursus latihan mengendali dan mengetahui ciri pesawat itu supaya dapat digunakan secepat mungkin. 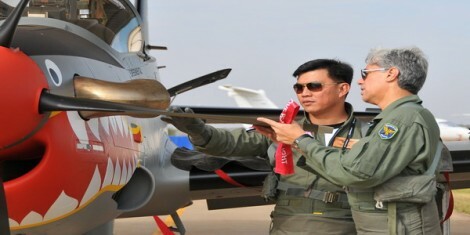 Sementara itu, Rodzali berkata, TUDM berharap kerajaan meluluskan peruntukan menggantikan pesawat Pilatus PC-7 yang diminta ketika Rancangan Malaysia Ke-10 (RMK-10) selain menggantikan helikopter latihan Alloute yang memasuki usia 50 tahun perkhidmatannya dengan TUDM tahun depan. Penggantian Pilatus PC-7 dan armada Alloute itu memastikan juruterbang muda dapat meneroka kemajuan teknologi pesawat moden di seluruh dunia. 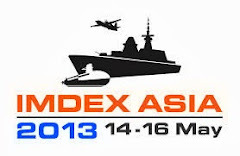 TSAMTO - The two governments of Southeast Asia - Indonesia and the Philippines - have announced significant increases in defense spending for 2013 fiscal year. According to the Department's Budget and Management, the Philippines, the 47.2 billion pesos allocated to the article "internal security" and 2.1 billion pesos - the "territorial defense initiative." Armed Forces of the Philippines in the arms procurement program (CUP-Capability Upgrade Programme) will also receive five billion pesos, which will be used to purchase critical equipment, boats and airplanes. 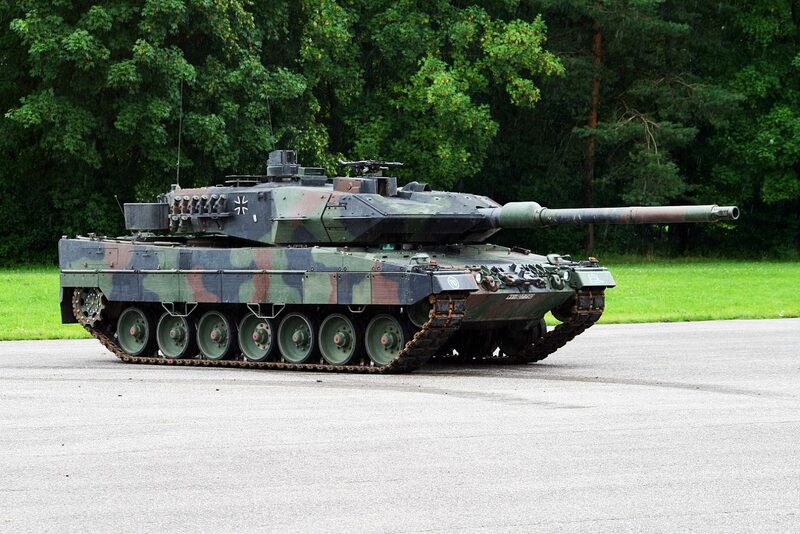 As part of the CUP in the next few years will be a series of acquisitions of military hardware. In particular : air-and sea-based missile system, various types of helicopters, patrol aircraft, medium-sized military transport aircraft and combat-capable aircraft. According to the President Benigno Aquino on July 23, the program has allocated more than the administration CUP 28 billion pesos. Projects worth another 75 billion pesos in the forwarded to the Parliament. These funds will be spent over the next five years. Ministry of Interior and Local Government allocated 120.8 billion Philippine pesos (an increase of 21%). The Cabinet Office did not disclose Indonesia expenditure for the purchase of military hardware, though, as you know, they include fighter aircraft, transport aircraft, frigates, maritime patrol boats, helicopters, and several types of anti-aircraft missile systems. Despite the increase in defense spending, accounting for a small percentage of the gross domestic product of Indonesia allocates to defense about 0.8% of GDP, Philippines - about 1.1%. At the same time, both countries have in recent years have seen the compensation inadequate funding of defense spending from extrabudgetary sources. SYDNEY -- Boeing [NYSE: BA] has awarded contracts totaling nearly US$1.85 million to Australian companies Lovitt Technologies Australia and Ferra Engineering to manufacture parts and assemblies for the P-8A Poseidon maritime reconnaissance aircraft. Lovitt Technologies Australia, based in Melbourne, and Ferra Engineering, based in Brisbane, were identified by Boeing’s Office of Australian Industry Capability (OAIC), part of the Defence Materiel Organisation’s Global Supply Chain Program. Both companies have a number of existing contracts with Boeing. Lovitt Technologies will manufacture mission systems parts and assembly fabrications for the P-8 aircraft. The company also supplies parts for the Bell Boeing V-22 Osprey tiltrotor and Boeing F/A-18E/F Super Hornet programs. Ferra Engineering will supply internal and external airframe parts and assemblies to support various P-8 flight and mission systems. 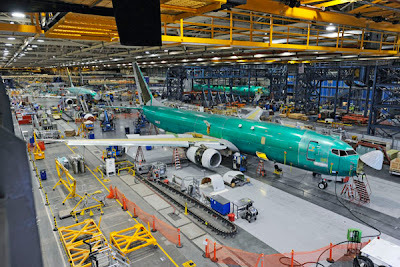 The company was named Boeing’s International Supplier of the Year in 2011. The firm also manufactures spare parts for Boeing Commercial Aviation Services and the F/A-18E/F Super Hornet program. The OAIC provides Australian small and medium enterprises with mentoring and training in areas such as Lean manufacturing, quality management systems, specialised manufacturing and machining skills, and business management. Additionally, the OAIC provides marketing assistance by helping match the needs of Boeing and its key suppliers with the capabilities of Australian industry and offering bid opportunities. The Royal Australian Navy’s (RAN) Collins Class submarine HMAS Farncomb has successfully sunk a target ship, the 12,106-tonne former USNS (United States Navy Ship) Kilauea in Hawaii. 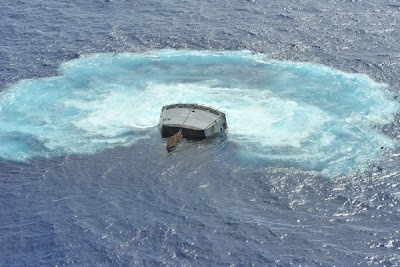 Farncomb, a Collins Class submarine, fired one Mark 48 Torpedo and achieved a hit just below the bridge of the ship as part of a sinking exercise, or “SINKEX,” at Exercise Rim of the Pacific (RIMPAC) 2012. 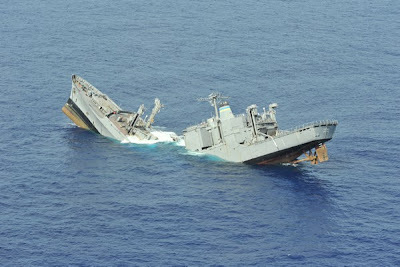 The former USNS Kilauea broke into two parts and sank about 40 minutes later. 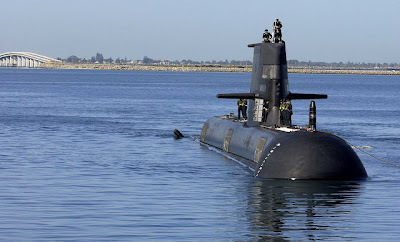 The submarine’s Commanding Officer, Commander Glen Miles, said the firing is a significant milestone for both himself and his 60-strong crew. “This is the result of professionalism and teamwork,” Commander Miles said. 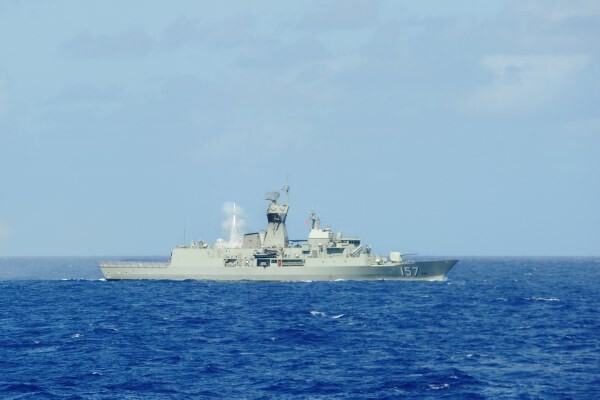 Australia is among 22 nations attending Exercise RIMPAC that includes six submarines and 40 surface ships participating in a realistic maritime warfare scenario. Australian soldiers from 1 RAR are also participating in the amphibious aspect of the exercise, alongside US Marines. RAAF AP-3C Orions and a Wedgetail aircraft are also providing air support. Australia’s contingent commander, Commodore Stuart Mayer, said RIMPAC provided the ADF with a realistic, high tech and challenging training opportunity. 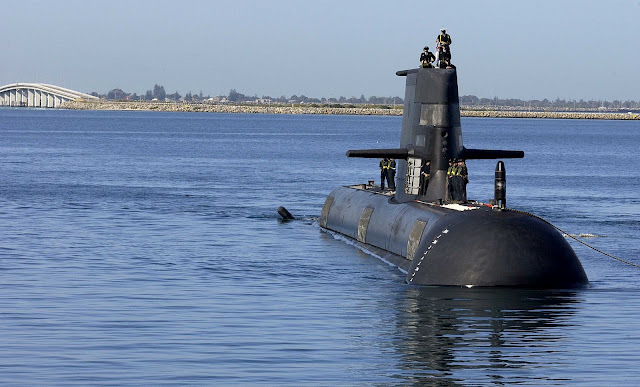 “HMAS Farncomb’s success reminds us yet again of the invaluable role submarines play in modern warfare,” Commodore Mayer said. 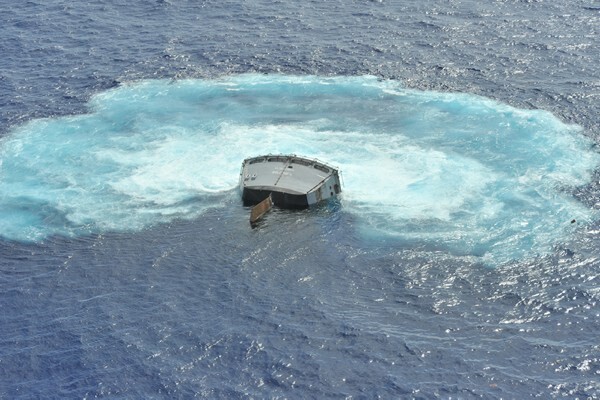 The world’s largest international maritime exercise, RIMPAC, provides a unique training opportunity helping participants foster and sustain the cooperative relationships that are critical to ensuring the safety of sea lanes and security on the world’s oceans. RIMPAC 2012 will conclude on 3 August 2012.